Safety and security are always important, and the Cheshire Neighbourhood Watch Association (formerly Homewatch) is actively seeking volunteers to coordinate Local Neighbourhood Watch Schemes. Neighbourhood Watch schemes allow you to receive and report information on criminal activity and other problems in your community. It is your chance to keep in touch with each other; to help reduce crime and disorder; to work in partnership with the police and other agencies, and to share information..
Our aim is to make Manley’s Neighbourhood Watch Scheme as effective as possible but we need your help. 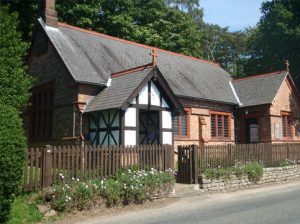 If you have any suggestions to improve our scheme please pass them on to a member of the Parish Council who will liaise with Manley’s Neighbourhood Watch organisation. Circulating individual households with door and window stickers, newsletters, leaflets and any equipment available to members, eg property marking kits. Encouraging members to keep a check on vulnerable households and welcome newcomers to the scheme. 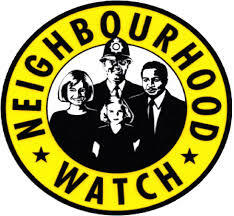 To find out if there is a Local Neighbourhood Watch Scheme in your area, visit http://cheshire.ourwatch.org.uk, and enter your post code in the ‘Find your local scheme box’ on the home page. You will then have the options of either applying to join the scheme, or sending your local Coordinator a message. If there is no scheme in your area and you want to know more about membership, please contact cheshirewatch@cheshire.pnn.police.uk. You should be receiving information on criminal activity if you live in these areas. If you are not receiving information and would like to, please email Cllr Ian Walton (ian.walton@manleypc.co.uk).